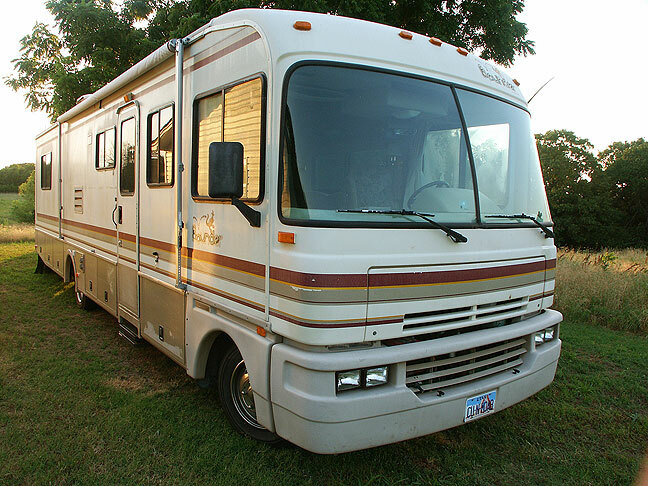 The ultimate vehicle for the apocalypse, our RV, whose name is Kokopelli. Dream: I see a large fire in central Ada from Abby’s office window. 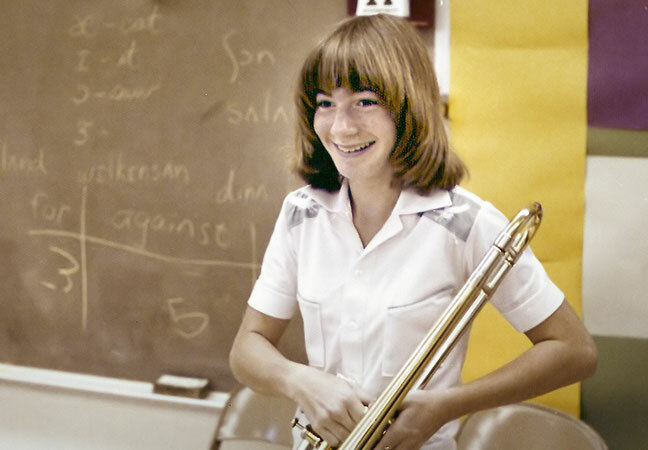 Despite being a drummer, Janet Jones poses for me with a trombone in speech class in ninth grade. My speech was about taking pictures, and in a way was my first teaching experience. I drive the RV to my old junior high in Lawton, Oklahoma. There I make eye contact across the room with Janet Jones, with whom I went to junior high and high school. She has colored her hair the same as mine and Abby’s. I go to her and we hold each other close until we see her boyfriend on the other side of the room. Driving back to Ada, I stop the RV by the side of the road to rinse the toothpaste from my mouth. Turning onto a street into town, I see a red flag, meaning we are entering the forbidden zone. As we continue, Mad Max style opponents approach from the opposite direction. Our lead vehicle is a chariot drawn by a triceratops in a top hat. As we watch, he wills his horns to grow five sizes, allowing us to make it into the heart of Ada. We disembark at a very secure, sciency-looking headquarters. I can see from there that much of Ada is burning. Several in our party are given large black canisters to carry. As we walk farther into the building, the cans turn into long, coiled brass tubes. Security guards grab Ashlee and she is taken with us to the medical ward, where I realize that my brass tube will be part of the procedure to turn her into a bug for storage purposes, about which I am very sad. I try to stay across the room as it happens, but the room gets smaller and smaller. I lower my head, but a doctor says, “Elevate,” and the table raises to show a tiny insect. 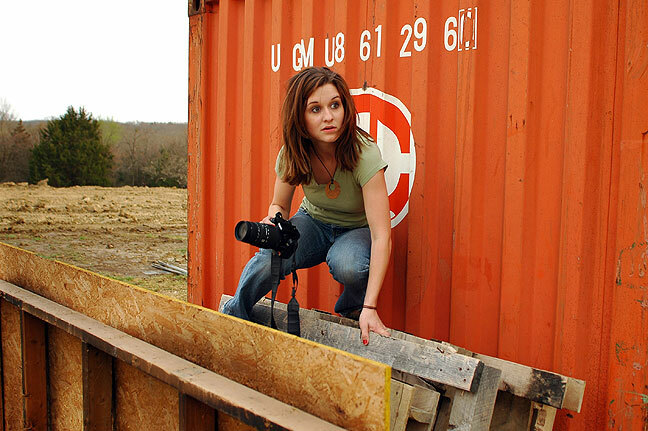 Ashley Holloway climbs on a pallet at the vo-tech during my advanced photography class in March 2009. Her movements in this image look a bit like she is trying to escape the apocalypse.